The Fab9Tuning Side-Mount Turbo Manifold & Downpipe Kits - NOW SHIPPING. EFR+Garrett - Page 2 - Miata Turbo Forum - Boost cars, acquire cats. FAB what are the specs of the motor in that dyno plot? 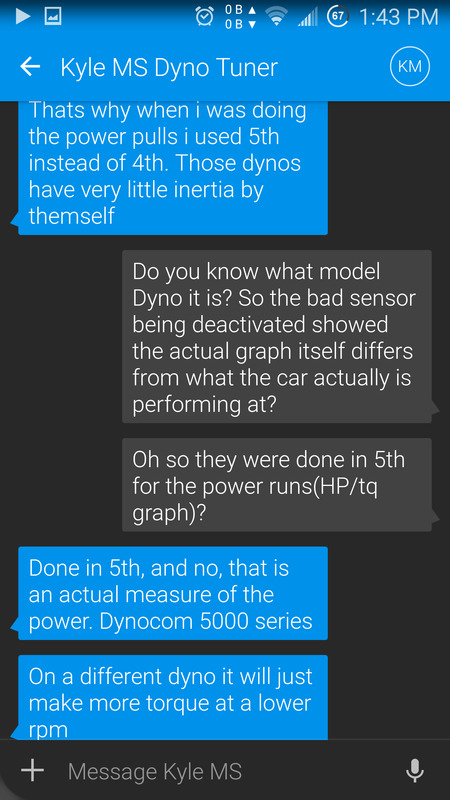 Here is the post with more info about the dyno and stuff. You can read his build thread to get more details. Are any of those back to back comparisons on a miata? Don't you own a v-band EFR, and a v-band GTxxxx? 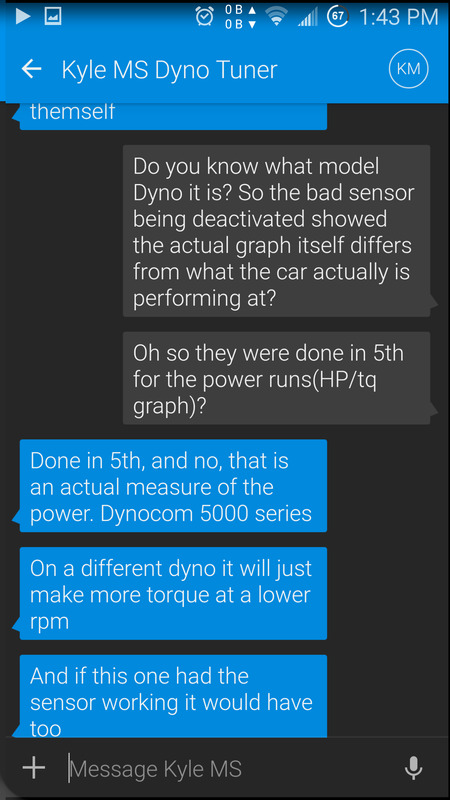 Dyno was not done in the 1:1 gear. Did we ever figure out what gear exactly they were done in? I know there was lots of talk and speculation but I am not sure if we got a definitive answer. I am trying to get a clear answer on why the graph is a little funky but after I do some data logging of a 5th gear pull I'll be able to give you a more definitive answer. ...Sounds like it was in 5th gear? To kill any more conjecture or wondering what the hell happened I'll just copy this from my thread to show that the results are a little skewed due to a bad sensor. Also runs were done in 5th, yes. 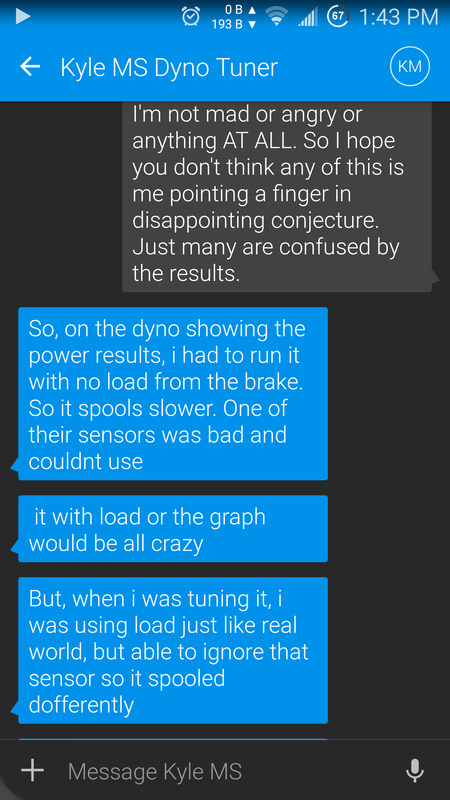 OK so I got a hold of kyle who tuned the car and asked him why, compared to other similar builds it showed such negative performance and apparently in order for the Dyno to display the results on the Dyno he was using(not his own, a BMW shop's, he found that one of the sensors was faulty and had to deactivate it so it didn't go on the fritz when trying to get a plot. Also the power runs shown in the graph were done in fifth gear rather than 4th like I thought. Here are the texts since he explained it better than I am. Oh interesting. So it was in 1:1, but very little load. Got $50 to throw it on another dyno just for some numbers? The money I have, yes, the easy access, no. I have an autocross in Vegas this weekend so maybe if I can find a different Dyno on Saturday, I'll see if I can do a few pulls. Just stop by Dyno Jet. We need moar high boost 6258 plots, would be awesome if you could make the time to get another! 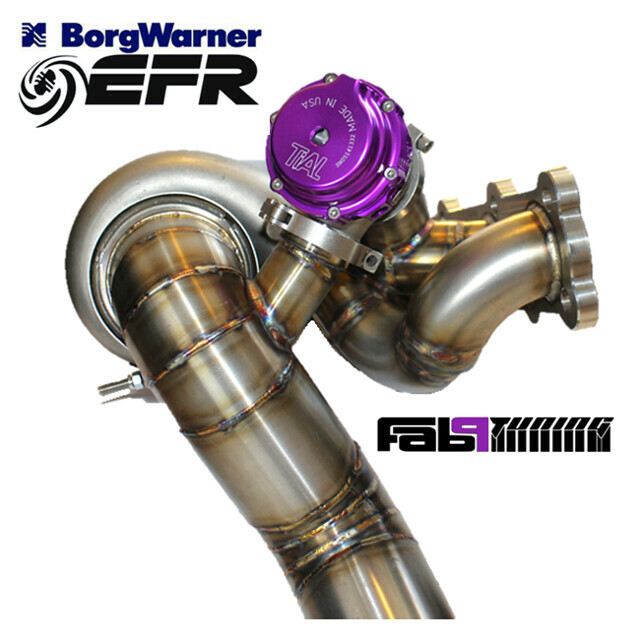 Now DISCOUNTED pricing on ALL Borg Warner EFR turbos - Pricing reflected when you add on a turbo with your Manifold/Downpipe purchase. We're clearing out some inventory and EFR's are first to go. 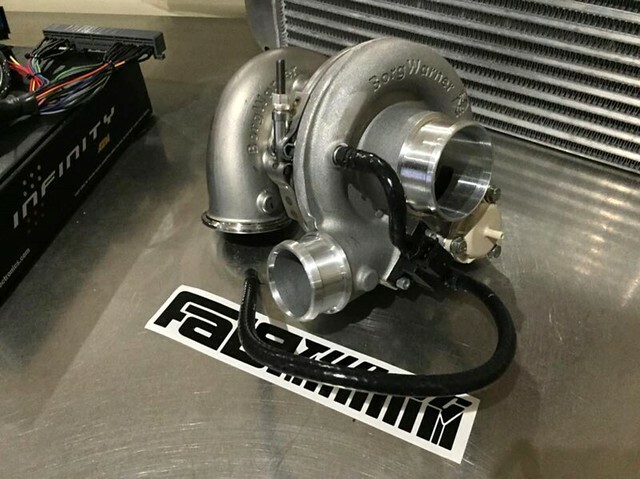 Some of these turbos are marked up to $525 off! Sale prices are listed outright, no promo code required. We are still shipping these domestically for only $9! International shipping pricing is now available instantly before check-out. Finally got my NB up and running for the Miatas at the Gap event - here is a quick shot of how the setup looks. Are these manifolds just for 1.8 or do you make a 1.6 as well? 1.8 only. Also if you are considering running an EFR you might as well upgrade to a 1.8 engine. At the end of the day the cost of the 1.8 is tiny compared to the cost of the rest of the setup. Well that didn't last long. Our NB on relatively low boost is making monstrous amounts of power on the new EFR setup. I stopped street tuning it at 20psi because I just didn't want any more power. We had an appointment scheduled for the Dyno yesterday and just a couple of days before it we blew up the differential from a roll race with a modded C6 Z06. 45mph roll, no brake boosting - rolled into it and as soon as it spooled she let go. I pulled a couple of Ford 8.8 Driveshaft Shop CV shafts off the shelf and we will proceed with the T2 trans and Ford 8.8 swap, then she will hit the rollers immediately. I'm expecting we will tune the car to just over 500whp and park it for the winter. 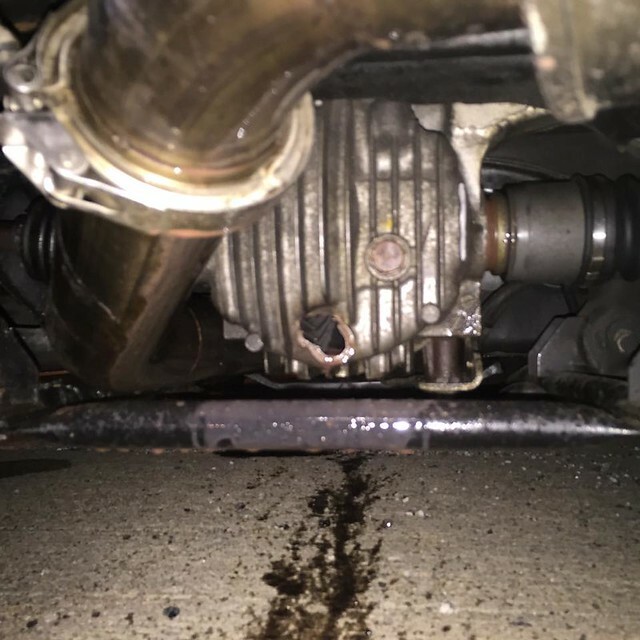 Looking at the pictures of the downpipe: No flex pipe, no exhaust flange- correct?